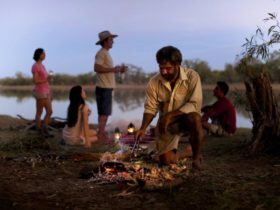 Derby is the ideal destination for a coast to outback gorge country adventure in one of the last true wilderness areas on Earth. It’s the western gateway to the legendary Gibb River Road – Australia’s unique four wheel drive experience – and a short hop to the horizontal waterfalls and the ancient canyons and caves of Tunnel Creek and Windjana Gorge. A three hour drive north-east of Broome leads you to Derby and the land of the boab trees. With flights direct to Broome from Perth, Melbourne, Sydney or Brisbane, it’s very accessible. 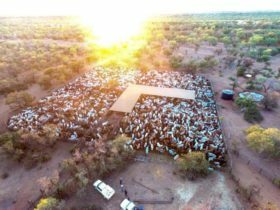 The first town settled in the Kimberley, its residents have embraced life beside the largest tidal movements in the southern hemisphere. With a variation of over 11 metres, these extreme tides have created the most extraordinary phenomenon, the Horizontal Waterfalls of Talbot Bay. On a scenic flight, you can gaze in awe at this unique spectacle, as well as the 1,000 islands and islets of the Buccaneer Archipelago. For a closer encounter, jump aboard a sea safari or crabbing tour departing from the jetty. 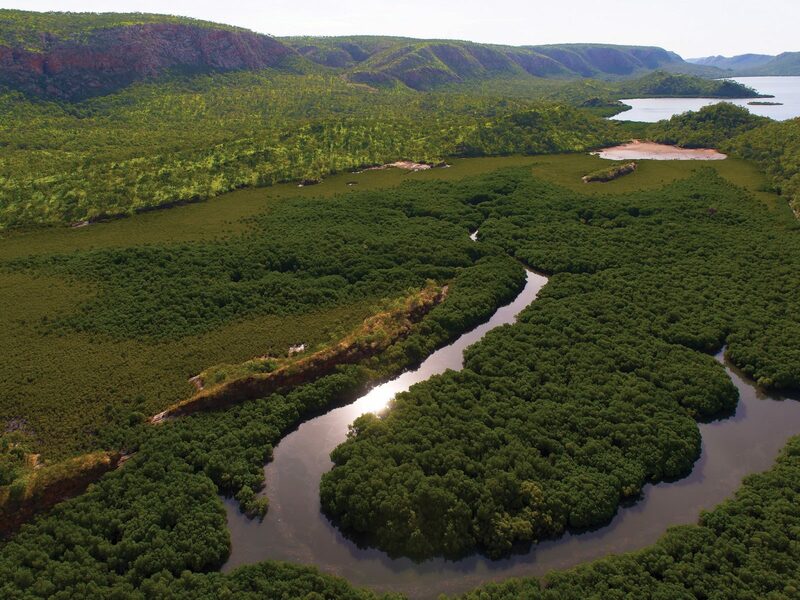 Heading 150 kilometres east you’ll enter the Kimberley’s Windjana Gorge, where you can cruise the Lennard River and marvel at the sheer 100 metre walls carved over hundreds of millions of years. Continue on to Tunnel Creek and take a torch-lit walk through Western Australia’s oldest cave system, venturing 750 metres into a subterranean world of bats and freshwater crocodiles. The caves are also famous for being a hide-out for Derby’s local legend – Jandamarra, the Aboriginal outlaw also known as Pigeon. Leading a resistance group against European encroachment on tribal lands, he was eventually tracked down and killed near Tunnel Creek in 1897. The Prison Boab Tree outside Derby dates back to the time of Jandamarra, when many Aboriginal prisoners were chained here en-route to the lockup. More insights can be found at Wharfinger’s House Museum and the Royal Flying Doctor Base and School of the Air. 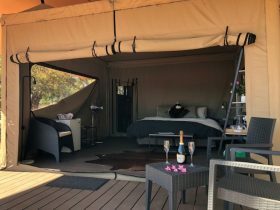 Accommodation includes station stays, wilderness camps and lodges in stunning Kimberley landscapes, as well as hotel, motel, bed and breakfast and camping options. 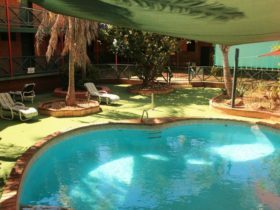 Derby is an Urban Location area within the local government area of Derby-West Kimberley in Western Australia, it is located approximately 1806kms from the capital Perth and extends over an area of 467.283 square kilometres. Derby has a recorded population of 3511 residents and is within the Australian Western Standard Time zone Australia/Perth. If you are planning a visit to Derby we’ve put together some of the things you can see or do while you are here. These include, places to stay, tours and attractions, some upcoming events and places where you can grab a meal. Go ahead, try one of the buttons above. Every destination has something worth seeing so start exploring… If you know Derby and think we’ve missed something, let us know and we’ll share it here.